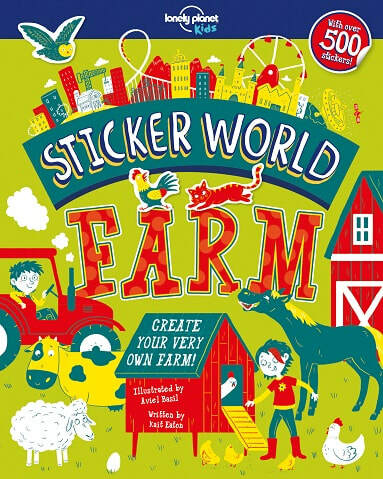 Create and customise the airport, castle or farm of your dreams with these three new additions to the popular Sticker World… series of activity books for kids aged six-to-eight from Lonely Planet Kids. 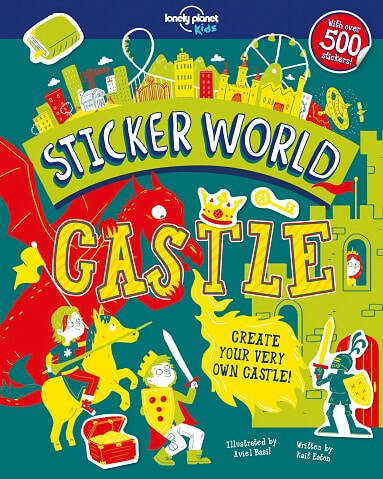 These bright and bold sticker books let children become an architect, designer and builder all in one. 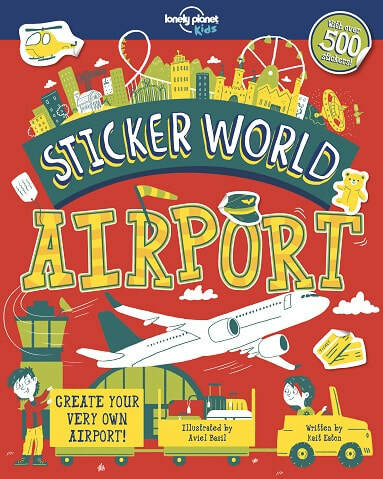 Filled with fun facts and more than 500 stickers in each book, kids will love getting a look at the inner workings of airports, farms and castles. Design your own aeroplane, open your own currency exchange, draw a tasty in-flight meal for your passengers and create passports for your friends and family as your bring your own airport to life. Design and colour in your own tractor, doodle a climbing frame to keep the goats entertained and create a meadow full of brightly coloured flowers and buzzing bees. Life on the farm has never been so much fun. Design a colourful coat of arms, complete an incredible jousting tournament, decorate the hall for a medieval banquet and much more as you bring an old castle back to life. Lonely Planet Kids published its first book in 2011. Building on parent brand Lonely Planet's 45 years of experience inspiring millions to explore the world, Lonely Planet Kids ignites children's curiosity with engaging, educational books on culture, sociology, geography, nature, history, space and more. Whether at home, on the road or in school, Lonely Planet Kids encourages the next generation of global citizens to make every day an adventure. Come explore! and on Facebook www.facebook.com/lpkidstravel Twitter (@lpkids) and PopJam (@lonelyplanetkids).